With the proper equipment and the right instructions, homemade yogurt can be quick and easy to make, not to mention extremely cheap. The process below takes me about 40 minutes to make 1 gallon of yogurt (not including the incubation time) and costs me around $2. If you can come by some unhomogenized milk, or even raw milk, you will be surprised at how much better your yogurt will taste! 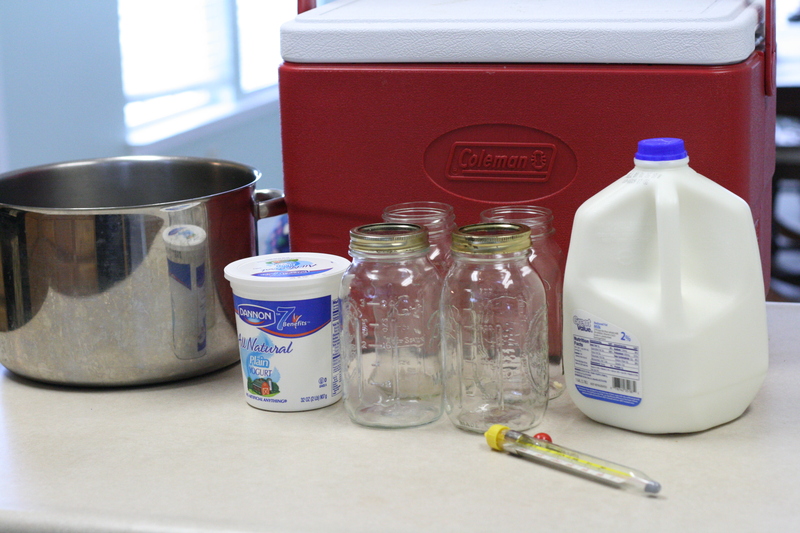 You will need a large stock pot, a candy thermometer, 1 gallon of milk (or however much you want to make into yogurt), 1/2 cup yogurt to act as a starter, glass jars, a cooler (or other method of incubation), empty gallon jug for warm water. Pour the milk into the stock pot and turn onto high. The goal is to get the milk somewhere between 180F and 210F. You DO NOT want the milk to boil. I usually take my milk to 180F. Remove the milk from the stove and place in a sink filled with cold water and ice. (I prepare the sink while the milk is heating). 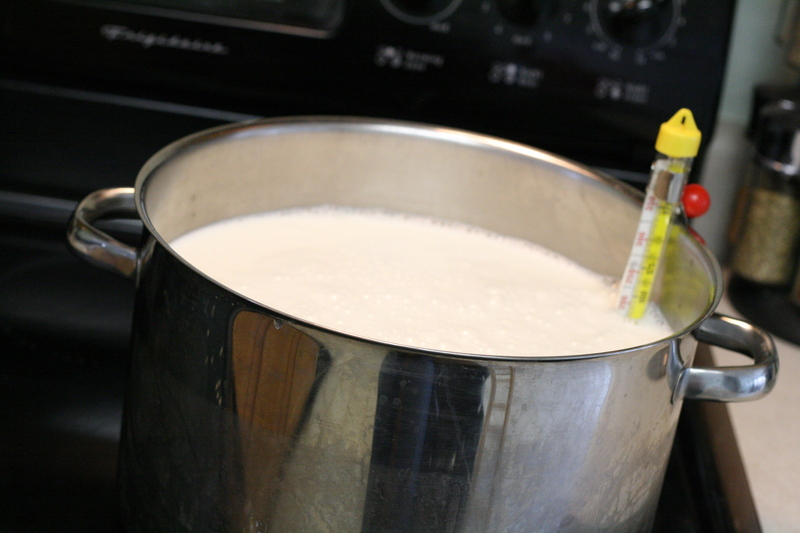 Your goal is to cool the milk quickly to somewhere between 110F and 120F. Do not stop before 120F. Remove the milk from the sink and whisk in the 1/4 cup yogurt to act as a starter. I often use Dannon plain yogurt. 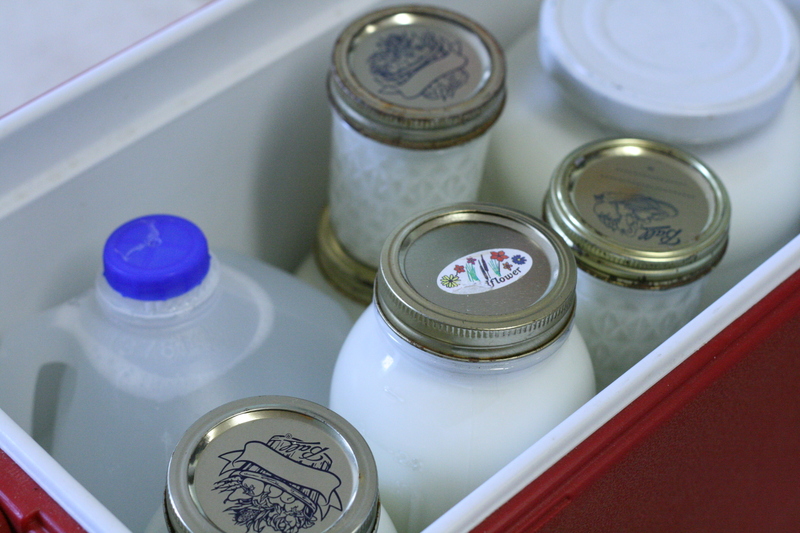 Pour the milk into clean glass quart jars (or other size). Cover and place in a cooler into which you have placed a gallon or two of warm water (temperature should be about 120F). 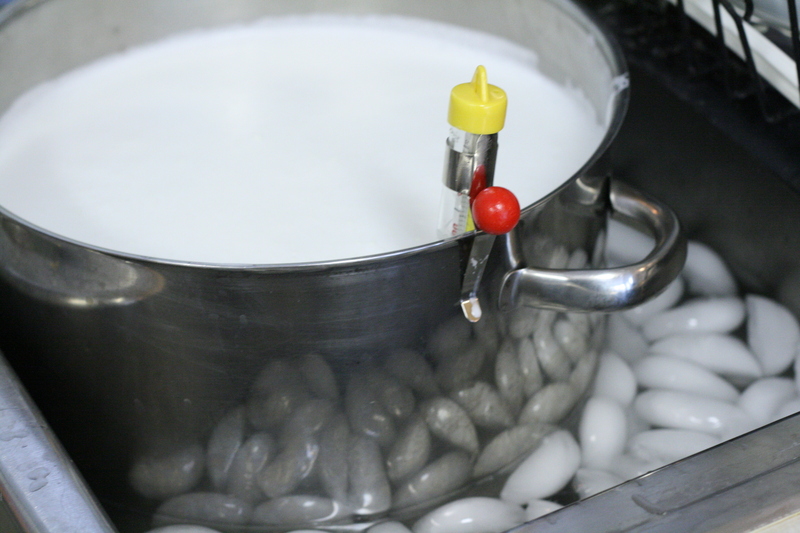 You want the yogurt to incubate at around 110F for 4-6 hours. Leave the yogurt unbothered until its time is up (shaking about will not help the yogurt set). I often make yogurt at some point in the afternoon and leave it to incubate until I go to bed (this means 4-8 hours). Longer incubation is fine, but you will get a sharper taste if you leave it longer than 6-8 hours. I prepare my heated water and cooler while the milk is heating. Remove your yogurt from the cooler and place in the refrigerator. You will notice that it is firm now and will become even more firm once cooled in the refrigerator. For thick, delicious, Greek-style yogurt you can drain the yogurt in cheesecloth for about 2-3 hours. My kids love to eat our yogurt with a spoonful of jam mixed in. I like maple syrup drizzled over and my husband always prefers his plain. I keep my yogurt for 1-2 weeks in the fridge. For people who are lactose intolerant : Culture the yogurt for at least 24 hrs. not more than 36 hrs. There is minimal sugar left in the yogurt. Also more culture may be needed for the 24 hr. variety. 1/4 cup yogurt per quart of milk. It is so important for people who have allergies and other problems with yogurt from the store that making your own is such a great alternative! Much more healthy and you can get all the protein and other benefits as well. For only 40 minutes spent and only a few dollars, making your own yogurt has become a very real possibility. 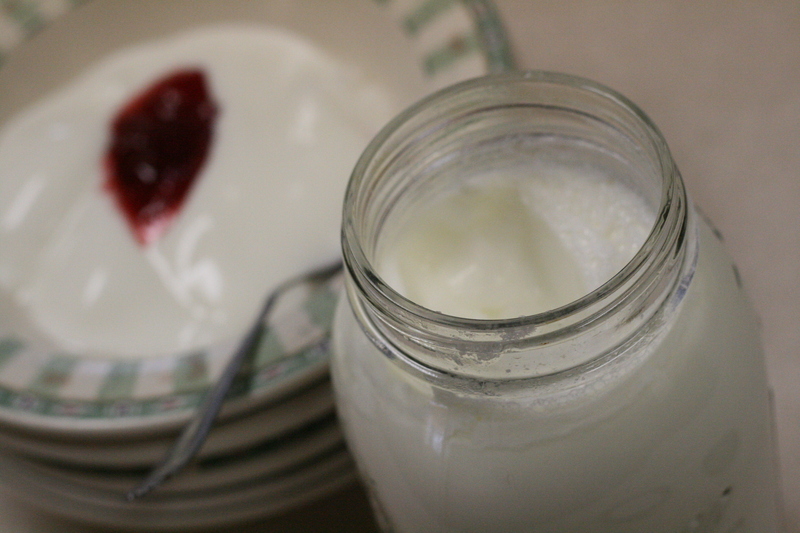 While it may seem daunting at first, the taste of home made yogurt is fantastic, especially when made with soy milk. Simple and well demonstrated. My affection 4 milk seems revived but i am intolerant to lactose hence i do prefer to break down 80% of my yoghurt lactose. still the result is fantastic.